HQ Packaging helps customers find packaging solutions that are both practical and progressive. Their customers will bring examples of their competitors’ products and request to “make something just as good.” They strive to become their customers’ favorite packaging company. 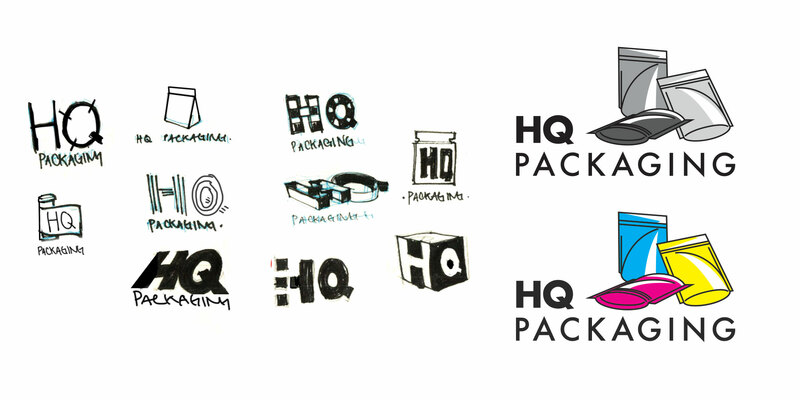 HQ Packaging is a pre-existing packaging business and over the last 5 years, their business has boomed and their original logo was something thrown together hastily, and thus were in the market for a new and better logo. The client requested a colorful logo that stands out and represents their company well. Our graphic designers started with research on the company and from there created sketches. They went on to perform font and color studies before proceeding to create mockups. The final product was a logo with a very prominent HQ with packages in CMYK, cyan, magenta, yellow, and black, the colors used in printing.